Eating Disorders are sinister diseases that affect your emotional, mental, social, and physical health. You feel miserable, anxious, obsessive, depressed, and frustrated that no matter what you try you are not able to feel any better. You want to feel happy, you want to live a life of fun and worth, but your eating disorder keeps you isolated and stuck. You are so miserable it makes patience in eating disorder recovery a challenge! You want to feel better, but struggle with feeling hopeless on how to move forward and away from your eating disorder. We started looking at basic human needs and how eating disorders steal your basic humanness, and we looked at how working to meet these basic needs would help her find the happiness, fun, and life she wanted to live, free of her eating disorder. Today I am going to share these needs with you and the steps you can take to start living a more fulfilled life. 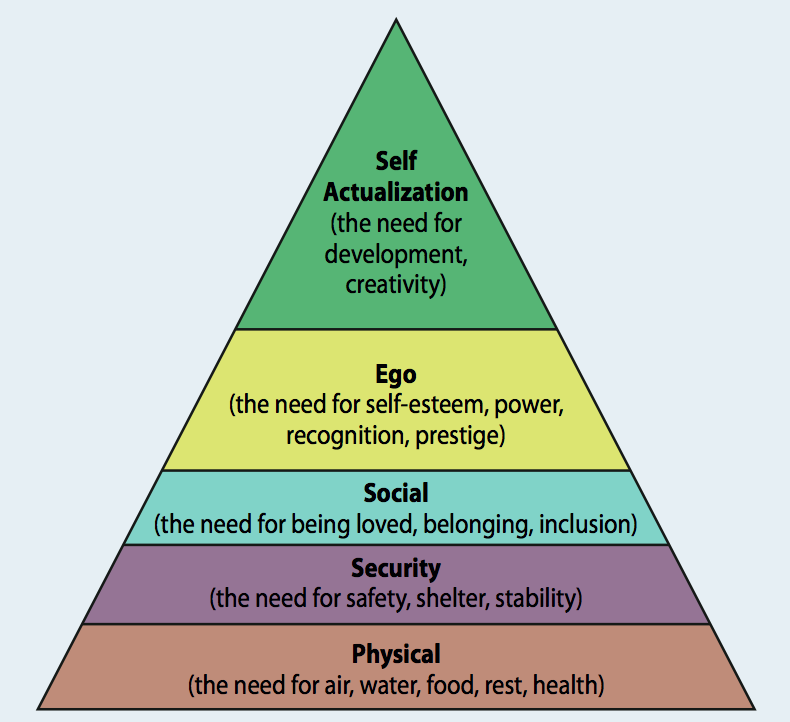 According to Abraham Maslow these needs are a hierarchy, meaning that in order to feel happy and live your most fulfilled life lower level needs must be met to feel fulfilled. Your most basic need is physiological, the need for food, water, rest, and comfort. This is the need most impacted by your eating disorder. Your eating disorder complicates your relationship with food so meeting this need can initially feel scary and overwhelming. However without this need you do not feel safe, you do feel connected, you do not feel worthy, and it is difficult to feel happy. In order to feel safe, connected, worthy, and happy you want to start by eating. Of course challenging your eating disorder is not as easy as “just eating” but when faced with upset around eating ask yourself how you wish to be living your life? It can help to journal the answer to this question and have this answer nearby when trying to eat. Then remind yourself that eating is the first step to living this life you wish for. Your safety needs include feeling safe and secure. Naturally doing the opposite of your eating disorder is going to make you not feel safe. You feel unsafe because your eating disorder is alerting the alarm system of your brain. Even though this is a mis-signal the brain feels alerted and anxious, making your body, and your stomach feel really scared and anxious. This is one of the reasons you feel you have no appetite and it is hard to feel hungry when your brain and body are on alert. Even though your brain is not getting the right signal, there are some things you can do to feel more safe, and send the message to your brain you are OK. When you start to feel unsafe and anxious, start by sitting comfortably in your chair with your feet flat on the floor and your back against the back of the chair. Take a big deep breath in, hold that breath for just a moment, then slowly exhale. Repeat this 3-4 more times. As you exhale say to yourself, “I am OK in this moment. I am safe and I can do the opposite of my eating disorder and be OK”. You may need to repeat this several times but as you calm down your body, you will also calm down the alert feeling in your brain. Keep in mind this step needs a lot of practice. It is not as simple as just doing this a handful of times. You may need to try this every time, several times, when you eat. However when you feel safe in your body, your brain starts to get the message, “I am OK and I am safe”. As you start to feel more safe you will be able to move toward feeling more accepted by others. When your basic needs are not met, your brain is unable to see all the love and support you have in your life. As you become more nourished and you feel more safe and secure you have more energy to see the people in your file that want to see you do well. Your eating disorder is making you feel like no one loves you or that you are different and do not belong. Your eating disorder is a liar! Your eating disorder has isolated you and kept you from accepting love and support from others. The more isolated you become, the more your eating disorder can grow, but as you move through the other recovery needs you will have more energy and brain space to see how you do have support and love in your life. Your eating disorder loves to steal your joy and happiness and it does this by causing you to feel distracted when you are hanging out with other people. This in turn makes you feel different, withdrawn, and disengaged from other people. -Listen to what they are saying. -As other thoughts come into your head and try to distract you from the moment, remind yourself “I am here right now with someone I care about it. They are making time for me and this is important”. -Tell yourself that you can worry about all the other thoughts in your head when you get home, if you choose, but right now in this moment you can choose to be present and engaged with your friend or loved one. As you start to notice these moments where you can engage and connect with a person your need for love and belonging will grow and improve. This will give you the boost you need to move to the next recovery stage: self-esteem. In order to live your best life your esteem needs should be met. Esteem needs include self-acceptance and feeling accomplished. Your eating disorder has stolen this need from you, however as you meet your other recovery needs it will be easier to focus on improving your relationship with yourself. Self-compassion when you have an eating disorder feels like a foreign concept because you are full of self-criticism and judgment. You can work toward self-compassion and work to meet your esteem needs by treating yourself the same way you would treat your best friend or a loved one. If your loved one was saying these things how would you comfort them? How would you support them? As you work toward being kinder to yourself you will move toward the last recovery milestone, self-actualization. In other words, as you nourish your body, feel more in control of anxiety and emotional upset, feel more connected with people in your life, and are kinder to yourself, you will start to live your most fulfilled life. You have the space to do the things you want to do. You have the space to make more meaningful memories. This is where your life and your values really start to align. Sure you will continue to have tough times, there will be conflict, there will be bad days, and you will make mistakes but meeting these recovery needs allows you to continue to grow. In order to help you move into self-actualization spend some time identifying your values. Pick your top 5 values and then make decisions that support these values. Recovery from an eating disorder is never a linear process. It is full of ups and downs, challenges, victories, wins, and disappointments. When you are feeling stuck, impatient, and frustrated with your recovery, try focusing on these individual needs. Ask yourself how each need has been met today. As you notice each need, physiological needs, safety needs, belonging needs, esteem needs, and fulfilled self needs ask yourself what you can do to met each need today? You may find meeting one need harder than another, so start with a need that feels more doable first, then the next, and so-forth. As the needs are met you will feel stronger in your recovery and you will feel more like the person you were meant to be. Dr. Stephanie Waitt resides in Sherman, TX. Stephanie is a therapist that specializes in treating eating disorders and is a body image, self-esteem, and eating disorder recovery coach. 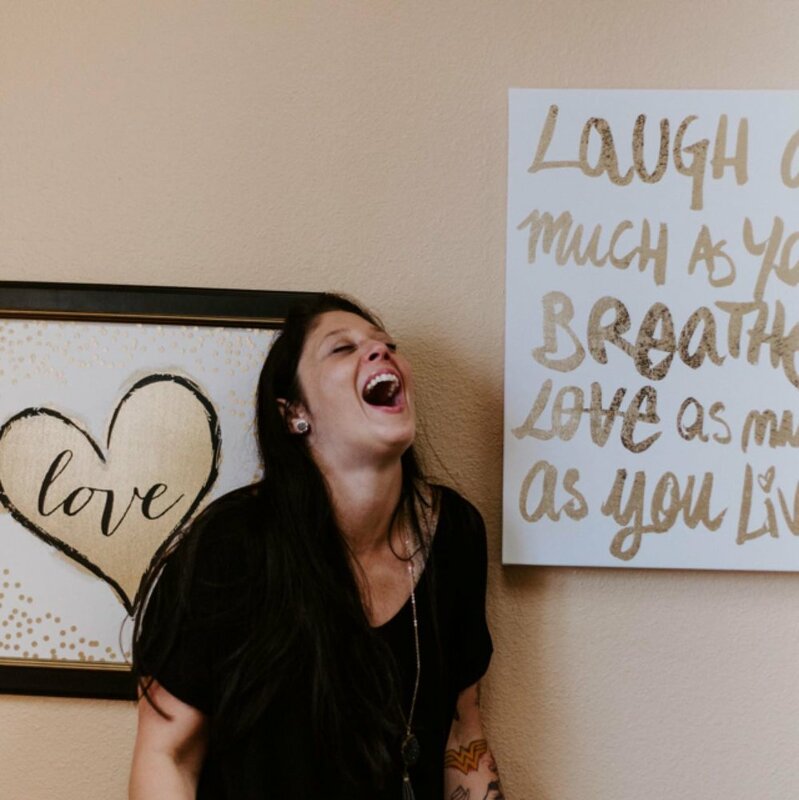 She works with young adults and teens to recover from disordered eating and find confidence and happiness. Stephanie is dedicated to helping individuals receive access to eating disorder treatment. She believes that everyone deserves quality and specialized treatment. She is passionate about eating disorder awareness, dogs, and Wonder Woman. You can find her spending time with her husband visiting comic book stores or a craft brewery, and hanging out with her beloved Golden Retriever Prince Fenway and Corgi Lord Odin.